Management Team | Citrus Products of Belize Ltd.
Jaime Alpuche has over 25 years work experience in the Public Sector with 12 years in the Ministry of Finance, six of which was as Financial Secretary. Mr. Alpuche holds a Bachelor of Science Degree in Economics (Lower Second Class Honors) from the University of the West Indies, Jamaica and a Masters in Business Administration from Strathclyde Graduate Business School, Scotland. 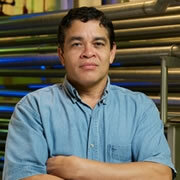 Mr. Herrera has over 17 years experience in financial management in the Belize citrus industry. Mr. Herrera joined CCB in 1988. He holds a Bachelor of Arts Degree in Accounting from Fordham University in New York and is a graduate and member of ACCA (UK) and also a member of the Institute of Chartered Accountants in Belize. He holds an MBA qualification from (UK). Mr. 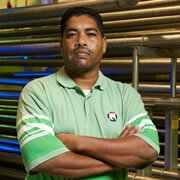 Usher has been employed with the Citrus Industry since 1992 which is 21 years of work experience in the industry. He holds a Bachelor of Science Degree in Business Administration with a minor in Accounting from the University of Belize. He has held several key positions during his tenure but today is directly responsible for the Marketing/Sales Unit, Administration Unit (including HR & Payroll) and the Value Add facility. He currently serves as a Councillor on Belize Chamber of Commerce & Industry. 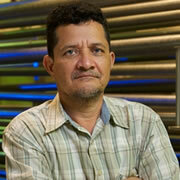 Mr. Romero has 16 years work experience in the citrus industry. Mr. Romero holds a Bachelor of Science Degree in Agronomy from the School of Agriculture for the Humid Tropical Region (EARTH – Acronym in Spanish). Mr. Jerry Williams has over 20 years work experience in Citrus Processing, Electrical & Mechanical Engineering, Steam Generation, and Industrial Refrigeration, of the Company. 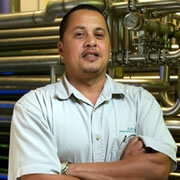 He did Vocational Training (Plumbing & Electrical) at ITVET, and an on-line course in Electrician Studies.